Spectacles have both a functional and a fashionable element – they can alter the way we appear. Choosing a pair of spectacles is a very personal experience; you want to see well, look good, and feel great. We know how much your eye health and appearance means to the quality of your life. It’s important to select the best eyewear for your lifestyle, that’s why your individual needs are our primary concern. We provide a dedicated ‘one-to-one’ service ensuring you receive expert attention. We can supply styles and prices to suit all budgets, and we’ll help you make an informed decision to find the perfect look from our wide selection of frames. 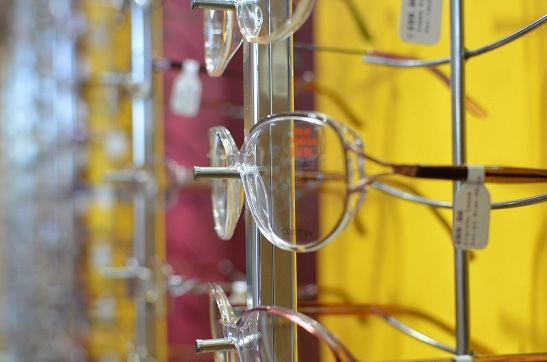 Let us help you make the right decisions when choosing your next pair of spectacles. It doesn’t have to cost a fortune to look great, but it’s always worth investing in quality, and that starts with quality advice. Designer & Fashion Frames Brands including CK, Karl Lagerfeld, William Morris London, Ted Baker, Nike and Silhouette. Affordable Men’s, Ladies, Fashion, Teenage, Rimless Frames. A wide range of Children’s frames including an excellent selection free under the NHS Voucher scheme when purchased as complete spectacles. Complete Spectacles from £50 (Free under the NHS Voucher Scheme for those entitled). Varifocal Lenses, we are a Varilux Specialist Practice. Personalised Single Vision 360 Lenses by Essilor. Antiglare coatings including Crizal UV for excellent protection from harmful UV Light.